Student Voices is an on-going research project that looks into the Higher Education experience of students across Europe, the Middle East, and South Africa. Its focus is on understanding how students regard their education, their learning perceptions, challenges and methods. Most recently it has investigated learning obstacles most commonly faced by students, their attitude towards employability skills and digital learning resources, and course satisfaction. We are continuously striving to improve the teaching and learning experience. 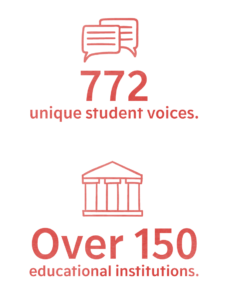 Our Student Voices research has already enabled us to work more closely with lecturers around the world, ensuring that, together, we continue to engage and challenge students, producing learning tools and opportunities that best suit them, and meet their changing needs. Our first Student Voices report is now available to view. To gain full and free access to the publication, simply register your details here. This brief summary of our Student Voices research provides an overview for teaching staff of our key findings. To view, save or print, simply click here. Student Voices is on-going project and we’d love to get you involved. To register your interest, please visit our contact page and we’ll get in touch. 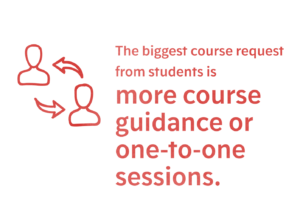 The most commonly cited challenges students face on their course are writing elements and preparing for assessments. 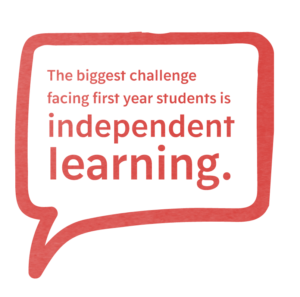 View our Learning Challenges infographic. 90% of students believe that the employability skills they will most need when finishing their education are interpersonal skills. View our Employability Skills infographic. 79% of students agree that digital resources are an essential part of their course for them to achieve their learning goals. View our Digital Learning Resources infographic.